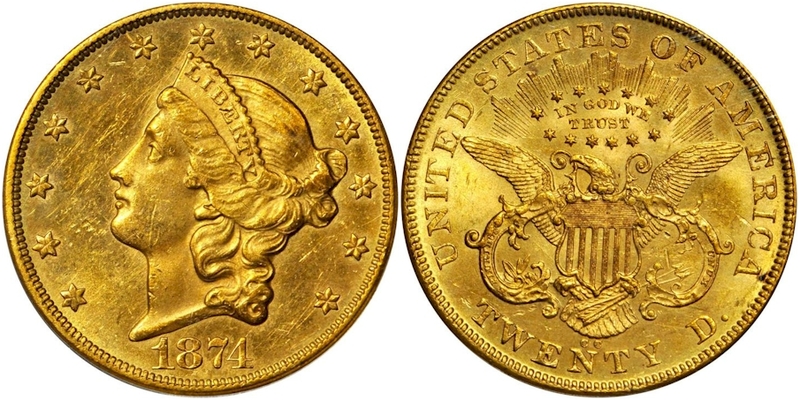 Since CAC was founded a little over ten years ago, auctions have increasingly been featuring CAC�coins. �����Premium quality coins have been a major driving force in the rare coin market for quite some time now. But what makes a coin PQ? Dealers and collectors use many standards and conditions to determining the quality of a coin. Most focus on strike, but when a coin is known for being weakly struck, for example some dates of the New Orleans Mint Morgan Dollars, 1893 O for one, then eye appeal becomes the primary factor. �����Eye appeal can take on various forms, including the strike, bag marks, color or toning, as well as the grade. Overall demand will define the perceived value, however, finite grading has evolved with the + designation and the CAC label, and eye appeal of coins within the same date and grade have become, in a sense, guaranteed. �����CAC approved and + designated coins represent better than average quality, meaning they are well above average for the grade. 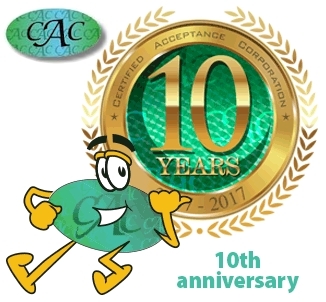 A CAC verification sticker represents a �solid quality coin� which was verified as meeting CAC�s strict quality standards. More simply, CAC accepts and stickers coins that are more toward the upper end of the grading scale for a specific graded coin; low end coins for the grade need not apply because they will be returned without approval. �����Since CAC was founded a little over ten years ago, auctions have increasingly been featuring CAC and + coins. In the most recent Stack�s Bowers Galleries auction in Baltimore, the Vanderbilt Collection contained an 1874 CC $20 Gold Liberty in PCGS MS61 with the CAC sticker which brought $78,000. Granted, this is a rare coin with just 19 coins certified in MS61 with 2 having the CAC sticker; there are 3 more coins certified in MS62, one of those has been CAC approved and none grading higher. But this date and grade had an FMV of $34,430 in 2014 with no change until 2017 when it rose to $37,130; with the sale of this coin the new FMV is now $38,810 and the rising CAC price is at $50,000. This is a coin that does not come along very often and it is highly prized by Carson City collectors. The last NGC MS62 reported in a Heritage sale was April 2014 and it brought $64,625; and yes, it was CAC�ed as well. �����The Vanderbilt Collection produced another example of a rarity with a CAC sticker that brought a significant price over the FMV. The 1795 $5 Gold Heraldic Eagle Bust Right in PCGS MS62 CAC sold for $180,000; the FMV prior to the sale was $162,500. Although the original mintage is not known due to the lack of adequate mint reports, there are just 18 coins certified in all circulated grades up to AU58 and another 25 coins in all Mint State grades with MS64 being the highest. Additionally, Heritage Auctions sold a similar coin in the same grade at the FUN Sale this year; the 1795 $5 Gold Heraldic Eagle Bust Right in PCGS MS62+ CAC. That little +, and whatever extra eye appeal, generated a sale at $276,000, almost $100,000 more. �����The January FUN Show auction hosted by Heritage Auctions provided another opportunity to compare two like coins in the same grade, one with the CAC sticker and the other without. The 1911 D $2 � Gold Indian in NGC MS65 brought $43,200; at the time the FMV was listed at $57,190. The next lot was the exact same date and grade except it had the CAC sticker and brought $78,000, nearly $35,000 more; quite an endorsement for the CAC label. There are 97 coins certified in this grade with 8 coins having the CAC label. In many cases that would be a lot of coins in a specific grade, even if it is in the high grade of MS65. Yet, this is the key date for this series and there are only 9 coins that grade higher with MS66+ the highest. Theoretically, the competitive bidders for this coin believed it to be very close to the MS66 grade. Moreover, the FMV for the MS66 is listed at $209,250 and it has not changed since 2011, and it has been many years since one has reported changing hands. �����Spectacular toning on a coin can add substantial value, but when the coin is also a rare date in a rare grade, the value can jump tremendously. A 1919 D Walking Liberty Half Dollar in PCGS MS65 with the CAC sticker brought $240,000 in the Heritage FUN Sale. While there are a total of 15 coins certified by PCGS and NGC in this grade, this is the only one that is CAC approved. The FMV for this grade at the time of the sale was just $156,000; lovely original toning and the CAC sticker helped bring $84,000 over the FMV. �����When rarity, toning, and the highest grade come together, there is a good chance for a record price. That was certainly the case for the 1897 O $10 Gold Liberty in PCGS MS67 CAC when it sold for $264,000 at the recent Long Beach Expo. This coin also has the added benefit of the Eliasberg Collection pedigree and is the finest known coin; the previous FMV was $78,980. There are only 14 coins certified in grades MS64 to MS66 and even then those don't show up in auction very often. �����For the Morgan Dollar collector, the Heritage Auction at the recent Long Beach Expo contained numerous 1881 CC Dollars, some with and some without the CAC certification. There were three examples of Morgans in PCGS MS67, and each had different qualifiers. The first PCGS MS67 realized $3,600 and also was listed as a VAM-2. The current FMV for this grade is $5,060, thus selling at a discount. 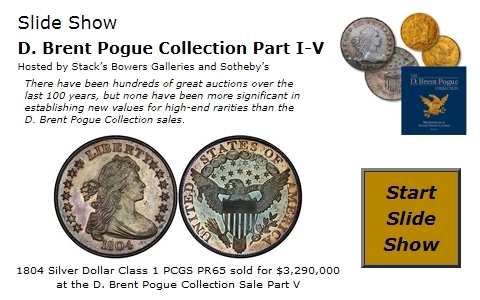 The next coin was a PCGS MS67 with the CAC sticker and brought $4,800, still a slight discount. However, the third coin was a PCGS MS67+ with the CAC sticker and it hammered at a lofty $16,800. There are a substantial number of coins certified in MS67 by PCGS and NGC; a total of 353, with 59 of those having the CAC sticker. This may be the only one in MS67+ with the CAC approval; there are another 7 coins in the highest grade of MS68 which has an FMV of $31,560. It makes sense that a coin approaching this grade would bring virtually half of the MS68 price. �����Toning is not required on a coin for it to receive the CAC sticker; however, when you have a rare coin that is CAC approved and it has beautiful original toning, the likelihood that it will bring a large premium is enhanced. There have been numerous rarities that have sold over the last year, some with toning, some without. The common thread is that many of these rarities that have sold at higher premiums have been CAC stickered.